Here's a deal you won't want to miss! 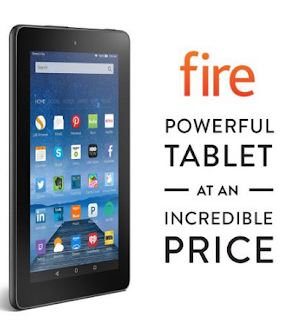 Right now you can get the Fire, 7" Display, Wi-Fi, 8 GB for $34.99 Shipped! -Beautiful 7" IPS display (171 ppi / 1024 x 600) and fast 1.3 GHz quad-core processor. Rear and front-facing cameras. Go HERE to order yours. Shipping is FREE!